A potent, revitalizing serum formulated to dramatically improve skin tone, texture and firmness with innovative Black Raspberry and Assai Palm Fruit Oils. This serum, designed especially for sensitive skin types, provides superior hydration, suppleness and resiliency against irritation and redness. ~Biodynes® O3 (Saccharomyces Ferment Filtrate)~a cutting edge ingredient which offers DNA protection, lipid barrier protection repair, and protection of free radical damage. The fermentation of beer and wine as well as the yeast responsible for raising bread are examples of this. The specific type present in this ingredient is derived through fermentation. ~ Palmitoyl Tripeptide-3~This peptide, consisting of three amino acids, promotes collagen synthesis by mimicking the skin’s natural processes. It is seen as an alternative to a collagen injection as it boosts the connective tissue growth factor necessary to produce collagen. ~Assai Palm Fruit Oil possesses an impressive combination of Omega 6 and Omega 9 essential fatty acids, phytosterols, vitamins, minerals and essential amino acids. It is rich in phenols making the oil a very powerful anti-oxidant and soothing. ~Sodium Ascorbyl Phosphate~ water soluble, biologically active form of vitamin C found in nature. This is the form the body uses to build skin, repair wounds, and protect itself from disease and disorder. 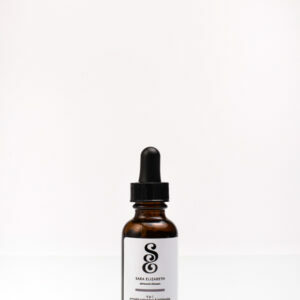 ~ Black Raspberry Seed Oil– Contains 85% essential fatty acids of which 30% are Omega 3. It is rich in anti-oxidants and phyto-nutrients one of nature’s most potent anti-oxidants. ~ Phyto Hyaluronate (Yeast Derived) is a yeast derived synthetically replicated alternative that provides moisture and water binding benefits. Purified Water, Caprylic/Capric Triglyceride, Vegetable Glycerine, Arachidyl Alcohol Behenyl Alcohol. 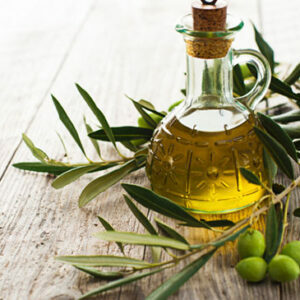 Arachidyl Glucoside, Glyceryl Stearate, Lauryl Lactate, Cetyl Alcohol, Glyceryl Undecylenate (and) Glyceryl Caprylate, Tocopheryl Acetate, Yeast Extract (Pseudocollagen), Sodium Ascorbyl Phosphate, Glucono Delta Lactone, Glycosaminoglycans, Ganoderma Lucidum (Mannentake Mushroom) Extract, Lentinus Edodes (Shiitake Mushroom) Extract, Yeast Extract (Phytohyaluronate), Palmitoyl Tripeptide-3 (Syncoll TM), Aqua (and) Saccharomyces Ferment Filtrate Lysate (Biodynes® O3), Rubus Occidentalis(Black Raspberry) Seed Oil, Euterpe Oleracea (Assai Palm) Fruit Oil, CI 77007 (Iron Oxide).